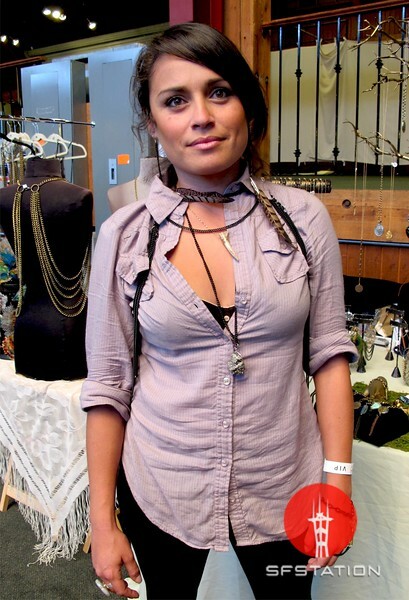 In This Scene: Accessories designer, Elisa Gonsalves, in one of her chain harnesses at Thread SF. I've been seeing a lot of these harnesses in fashion blogs and at trade shows, but haven't seen anyone wearing them in the streets! I think they're awesome and can't wait to start seeing more of them. I especially love the gold harness behind Gonsalves, on the mannequin--it would look great over a navy silk dress.